First lets start with the hardware that ive choose for my miner, you can choose any hardware you want to build one see the link at the end of this guide for components lists of others. - It depends on everyones choice on how they want to doit. Some aluminium struts t-slot are needed, stand-off spacers and some plexiglass but as ive said it depends on your construction you will have to mesure all the parts and build one that would fit all the components in it. I will not talk about this know because everyone should doit alone. 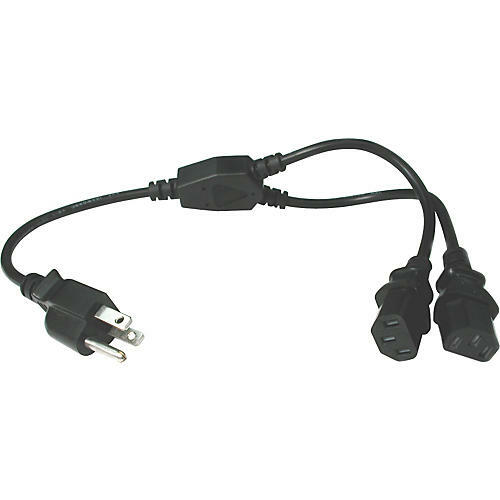 Connect 4 neutral wires (white/black) of 4 DC power cables in one slipper with a plier. Repeat the same steps for the other 4 DC power cables. Make a bridge between the Load tabs like in the picture attached bellow with a good wire from an old power cable and two isolated slippers. Make a wire with an isolated slipper in one end, which will be connected to the Neutral tab of the switch, and on the other end of the wire put a normal slipper that will be later connected to the PSU. For the moment connect it only on the rocker Neutral tab. Make a wire with an isolated slipper in one end, which will be connected to the Load2 tab of the switch, and on the other end of the wire put a normal slipper that will be later connected to the PSU. For the moment connect it only on the rocker Load2 tab. Make a wire with an isolated slipper in one end, which will be connected to the Ground tab of the switch, and on the other end of the wire put a normal slipper that will be later connected to the PSU. For the moment connect it only on the rocker Ground tab. NOTICE: Use isolated slippers where ive wrote because there is always a risk of electrocution!!!!!!!!!!! 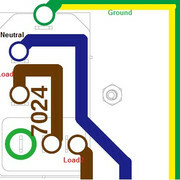 Connect the Load end with the normal slipper to the Load terminal of the PSU marked with L.
Connect the Neutral end with the normal slipper to the Neutral terminal of the PSU marked with N.
Connect the Ground end with the normal slipper to the Ground terminal of the PSU marked with grounding sign. Connect the first batch of 4 Neutral wires (white/black) of the DC power cables that are bound to one slipper to one of the Neutral output of the PSU matked with -V.
Connect the first batch of 4 Load wires (red/brown) of the DC power cables that are bound to one slipper to one of the Load output of the PSU matked with +V. Repeat the steps for the second batch of DC power cables and connect them to the remaining Load and Neutral outputs. NOTICE: The boards will be connected later one by one because we i did not use any dc power distributor with switch button for each board!!!!!!!! Connect each board to the 16 port switch with one ethernet cat6 cable. Ive conncted the boards on the first eight ports of the switch. Connect the 16 port switch to the router on which the OpenWrt will be installed with an uplink cable fom the last port on the switch to the fisrt port on the router "1". Ive observed that if i connect two uplinks the boards and router are going nuts, you could try and see if not just connect only one uplink. In my case i had two miners with two switches each with two uplinks and they went nuts so i can not really say that with two uplinks wont work, try. - First is if you dont intend to use the same router for giving internet to the rest of the electronics that are connected to your router that you have now then you should connect the OpenWrt router to the one that you have through the WAN port. So connect the 10th ethernet cable to the WAN port of the OpenWrt router (TP-Link WR1043ND) to one of the ports on the router that you have in this moment. For SW configuration see the Networking Software configuration chapter. - Second scenario will be if you intend to use the TP-Link router also for your own use not only for the miner than you wont need the 10th cable, you just need to plug in the WAN port of the TP-Link router the cable on which you receive the internet. The SW configuration see the Networking Software configuration chapter. Connect all the processing boards between them with the standoff spacers just to have it like a cluster. The processing boards will be plugged one by one after the SD card of each is flashed. We do this just because i didnt bought any DC power distribution board with individual power switch for each board. This process will be covered and explained later in the software chapter. Connect your laptop with an ethernet cable to one of the LAN ports of the TP-Link router. Power up the TP-Link WR1043ND. Write the default username and password when asked which are admin/admin. Go on the left side to "System Tools -> Firmware Upgrade". Click on "Choose file" and select the downloaded firmware from chapter II.1.1. Select "Upgrade" and wait till its finished. - Windows laptop open the PuTTY and connect through SSH on 192.168.1.1 IP (which is the default IP of OpenWRT), when asked for user write "root", by default there is no password. - Mac OS to start the Terminal, go to your Mac's Applications folder -> click on the Utilities folder -> then click on Terminal and write in the Terminal "ssh root@192.168.1.1"
After it reboots you will be able to see the installed web interface if you open a web browser on 192.168.1.1. You can login with user "root" and no password is set at this moment. Download the portable version of Rufus from here Rufus 2.18 Portable on your computer in a folder you will be using for flashing of the SD cards. Download Etcher for Mac OS from here Etcher for Mac OS on your Mac and follow these steps to install it we will be using it later. Download the Armbian version for Orange Pi Prime from here Armbian Ubuntu Server to the folder youll be using for the card flashing. This is the CLI version with no desktop interface. For other version go here and search Armbian Download. Insert your card in the computer (maybe an adapter is needed from SD to Micro SD). Leave all defaults just change from "Free DOS" to "DD Image". Click on the icon which resembles a CD drive next to "DD Image". Select in the window that opened the Armbian img file downloaded earlier from the location youve downloaded adn select open. Click on "Start" and accept the aknowledgment of erasing your card in the pop up that appeared. Wait till it finished and click on "Close"
You can find also videos on YouTube on this topic. In addition to Etcher you also need Keka. The Armbian images are compressed .7z type files. Keka will allow you to unzip the image file. Open a Finder window. Locate the Armbian image you downloaded earlier. Double-click it to extract. By default a folder will be created and unzip the files there. 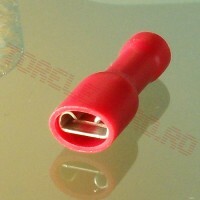 Browse for the image file, select it and then click Flash to create the SD card. Also you can follow the video provided earlier for downloading and installing Etcher for Mac OS for flashing. Insert the micro SD card into the Orange Pi than insert one DC power cable that weve talked about in Hardware. Switch ON the Rocker Switch from Hardware. Connect from your laptop with an ethernet cable directly into the 16 port switch where the Orange Pi's are connected. Logon the OpenWRT router web interface IP, navigate to "Network --> DHCP and DNS". Scroll down to "Active DHCP Leases" and you will see your first Orange Pi, note in a document the "Hostname", "IPv4-Address" and "MAC-Address". Scroll more down to "Static Leases" and paste in the corresponding fields the information you've noted in the document: "Hostname","IPv4-Address" and "MAC-Address" like in the picture bellow. After adding all the informations select "Save and Apply"
Now the router will know that the board with the MAC address youve specified will allways give you the same IP that youve set. After oppening the putty/terminal you will be prompted for an user (Windows), password (Mac), default user is "root" with default password "1234". First thing after logging in you will be prompted to change the password, first enter the default password "1234" after he will ask you to enter a new password, twice. Retype new UNIX password:<your_new_password> - retype your new password "
Hit Enter key for four times, when asked if you want to save write "y" and press again the Enter key. Repeat the steps from II.2.3. to II.2.5. including for all boards one by one but omit to switch ON the Rocker Switch otherwise you will cut off the power from the first board. # To save the file press "ESC" then write ":wq!" You can check if the Manager works by opening a web browser and typing your IP and port 8000, like this "192.168.1.200:8000". Now you should see the node in the manager's web interface opened earlier. By using these services the manager and/or node processes will start once the board is booted. Here and some enhancements to the Mac instructions. select it and then click Flash to create the SD card. (02-28-2018, 06:16 PM)Bobbyhchrist Wrote: Here and some enhancements to the Mac instructions. Thank you for this helpful article. You're saying: "#sh startup# TBD". Any idea when this will be done? I cannot find a method to add the skyminer startup command to startup of the node. Tried with systemd, crontab, etc... no luck! (05-25-2018, 07:32 PM)PostmanNL Wrote: Thank you for this helpful article. You're saying: "#sh startup# TBD". Any idea when this will be done? I cannot find a method to add the skyminer startup command to startup of the node. Tried with systemd, crontab, etc... no luck! After going through this process, the Skywire Manager online portal isn't accepting my old password - any idea why this might be? Indeed it is defaulting to the original password, that was it, thanks! It created a new .skywire folder with new keys so you'll have the default password and new keys in the manager. I think it creates the new .skywire folder in GOPATH/bin/.skywire and the old one should be in /root so you can copy or move the old ones in the new folder and youll be ok.
Youll move the newly created in the .old folder and copy the old ones where they should be. I had problems with services, after "systemctl start skymanager.service" or "systemctl start skynode.service", I get "Failed to start skynode.service: Unit skynode.service is not loaded properly: Exec format error. See system logs and 'systemctl status skynode.service' for details.". after " journalctl -u skymanager.service" it says " /etc/systemd/system/skymanager.service:9: Executable path is not absolute: kill".